Another day, another acquisition in the education technology market. As the old, familiar names in publishing and education move to get in line with the digital revolution, they’re finding plenty of opportunities amidst today’s growing roster of young EdTech startups. Last summer, Macmillan, one of the oldest publishing companies out there, created a $100 million fund to use to scoop up promising EdTech startups. The fund, now known as Macmillan New Ventures, has been looking to add 10 to 15 companies to Macmillan’s portfolio before 2015. Prep U and i-Clicker were the first startups to be acquired, followed by EBI Mapworks Sapling Learning in November. Today, TechCrunch has learned that virtual science startup and EdTech veteran, Late Nite Labs, has become the newest addition to Macmillan New Ventures’ portfolio. While the terms of the deal were not disclosed, Late Night Labs’ VP of Business Development Harris Goodman tells us that the startup’s 12 employees will be joining Macmillan and re-locating to MNV’s offices in Union Square in New York City. Macmillan has been looking to build a portfolio of education startups that can demonstrate product-market fit and actual traction among both end-users and schools — something that’s been difficult for many of the new generation of EdTech companies to manage. Late Nite Labs raised $1.1 million in late 2011 from a handful of angel investors, which included former Chancellor of New York City’s public schools and Kaplan EVP, Harold Levy, and Disney Education’s former head of business development, Don Burton, among others. At the time, Late Nite Labs had expanded into 150 schools (a number that has grown significantly since, Goodman says), including Arizona State, Penn State and MIT. More recently, the startup has managed to use this traction to push past a $1 million annual run rate and has been growing steadily since. While there is growing pressure across the country to raise the quality and consistency of STEM in both primary and secondary education, the fact of the matter is that federal funding for public universities and colleges has been in a steady decline over the last two decades. Combined with increased spending and rising institutional debt, many state schools and public universities have been forced to make cuts across the board, from faculty and courses to core, student learning programs. Science resources, specifically wet labs, are often the first to go — if they even existed in the first place — the same laboratories where students learn how to use Bunsen burners, mix chemicals and measure boiling points. Officially launched in 2011, Late Nite Labs set out to solve this problem by providing schools with a web-based platform that allows students to take part in virtual chemistry and biology labs. The New York City-based startup has origins that date all the way back to 2001, which make it one of the older and more familiar startups in the EdTech market, though it really began to pick up steam more recently, beginning with its more “official” debut in 2011. 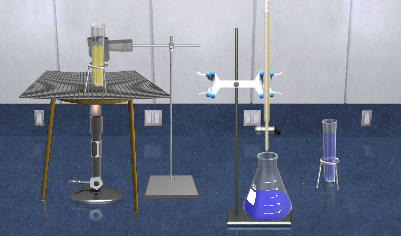 Over the years, the startup has grown its virtual lab platform to include several hundred experiment simulations, which allow schools to provide their students with a fully-equipped, virtual science lab — complete with the same containers, compounds and instruments one would find in a real, live wet lab. Teachers can create and manage their coursework through the platform, distribute assignments and so on, including expository videos and images, while students get to follow along and keep track of progress in their own digital notebooks. The drag-and-drop, interactive platform now includes microbiology, general organic and biochemistry alongside the basics, and Late Nite Labs is currently in the process of working on a physics lab as well.